Obituary Submitted by Wes Pope and Dale Hjort. Mary Louisa (Trumbull Pope) Hjort was born to Mary (Castles) Trumbull and Charles Trumbull on January 25, 1943 in Helena, Montana. Both of her parents were school teachers who loved music, and knew Latin. The family lived in Forest Grove, Oregon; Cathlamet, Washington; then finally settled in Auburn, Washington. Montana was dear to her heart, and Mary Lou spent many summers and Christmases visiting family in Superior, Montana, and elsewhere across the state. Mary Lou graduated from Auburn High School in the class of 1960, and received a B.A. in Elementary Education from the University of Washington in 1964. She played flute and piccolo in the UW marching band, marching in the Rose Parade and Rose Bowl twice. In 1964, she married her high school sweetheart, Claude Pope of Algona, Washington. 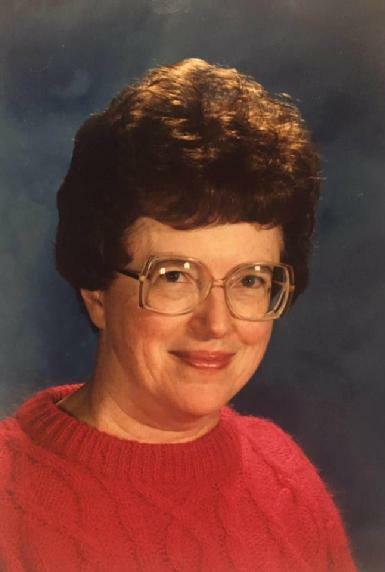 She taught for one year in Auburn, and then the couple moved to California, where Mary Lou continued to teach elementary school for several years. In 1978, the family of now five moved home to Auburn. In November of 1987 her husband, Claude, lost his battle with melanoma. After all three kids graduated from Auburn High School, Mary Lou married long-time friend Dale Hjort and moved to La Palma, California where she lived for the past 22 years. There, she became an active member of University Baptist Church in Long Beach. She was a leader in the Lakewood Women’s Club, supporting education-focused organizations. She worked for Teacher Created Materials. She and Dale co-edited the International Order of Runeberg’s Leading Star newspaper. On June 19, 2017 following years of struggle with a variety of diagnosed and undiagnosed ailments, she passed away peacefully at her home. She is survived by husband Dale Hjort, brother Bill Trumbull, son Wesley Pope, daughter Annette Wolf, son Bradley Pope, and grandchildren: Makenna, Rylee, Oliver, Claudia, Fiona, and Guthrie. She was laid to rest in Mountain View Cemetery in Auburn, beside her first husband, Claude Pope. Memorial Celebrations took place at Messiah Lutheran Church in Auburn on July 1st and at University Baptist Church in Long Beach on July 8th.